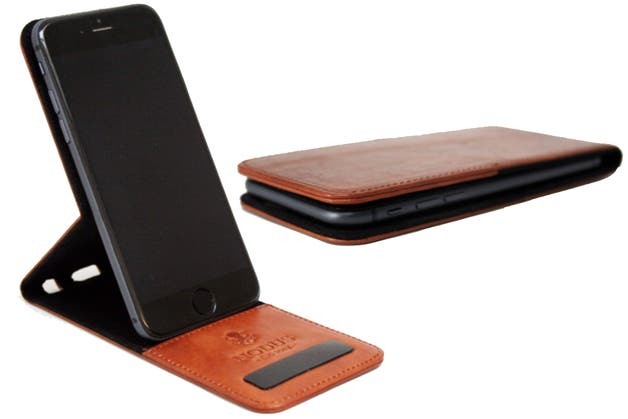 iPhone 6/6 Plus Case of the Week: The Access Case, by Nodus. It's that time of year again. Right after a new iPhone comes out there is the inevitable deluge of great cases to protect your new investment. This happens with every iPhone release, but perhaps never more markedly than with the introduction of the completely new form factors of the iPhone 6 and 6 Plus. If ever an iPhone needed a case it is these large and larger models, with their increased real estate, slick, rounded edges, and extra weight. Rather than clump a bunch of individual cases together I'll be focusing on one great case each week over the course of the coming months. This week's featured case is the stylish Access Italian leather case by Nodus, which is currently available at a special discounted pre-order price for a limited time. 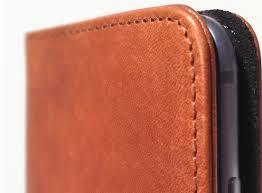 The Access case for the iPhone 6 and iPhone 6 Plus by Nodus is an elegant affair, understated and regal. Even though it is a bargain purchase at under $63.50, it has the look of a case that you might see being used by a celebrity or business executive. Then again, with its classic, old-west look of leather and precision stitching, I could also see this case being an equally good fit for anyone with some good ol' Southwestern country flair. While the Nodus Access case isn't necessarily the go-to case for anyone in need of heavy-duty protection from impact and elements, it is an excellent choice for those looking for a slim, chic case to shield your iPhone 6 or 6 Plus, whether it happens to be in your pocket, purse, or backpack, or just tossed on the countertop or your car's dashboard. The Access case has a couple of features that help it stand out from the crowd. The first being the case's ability to serve as a stand when you are using your iPhone 6 Plus in landscape orientation. This is especially handy when using the bigger iPhones for watching video content or when typing. If you have the smaller iPhone 6, the Nodus Access is available in either portfolio or flip-up styles so you have your choice of standing the iPhone upright in portrait orientation, or horizontally in landscape mode. 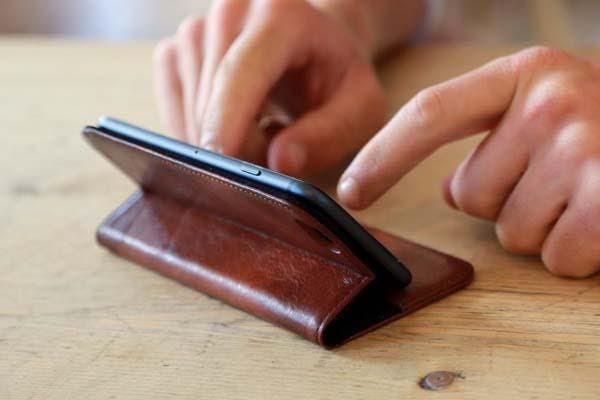 The other neat feature of the Nodus case is how it holds your phone securely in place. Rather than relying on some kind of adhesive or elastic strap like some other cases of this ilk, the Access case instead employs a special micro-suction rubber which effectively adheres the case to your iPhone. 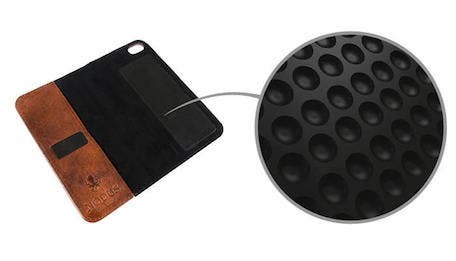 This approach means that there is never any gunky residue on your pristine new iPhone, and unlike a sticky adhesive, the micro-suction strip will not loose its ability to create an incredibly reliable bond. With its luxury leather exterior and plush microfiber interior lining, the Access case gets high marks as an elegant solution for protecting your new iPhone in rustically sophisticated style. For a limited time you can still take advantage of Nodus' special pre-order discount through October 31. Even though the Access for both iPhone 6 and 6 Plus is currently available for a great savings at $63.50, normal retail price for the iPhone 6 Access case is $96.51 and $112.60 for the iPhone 6 Plus version. According to Nodus, their Access cases are expected to ship to customers within three weeks of ordering and even though the case is manufactured in Britain, the company offers free shipping worldwide.